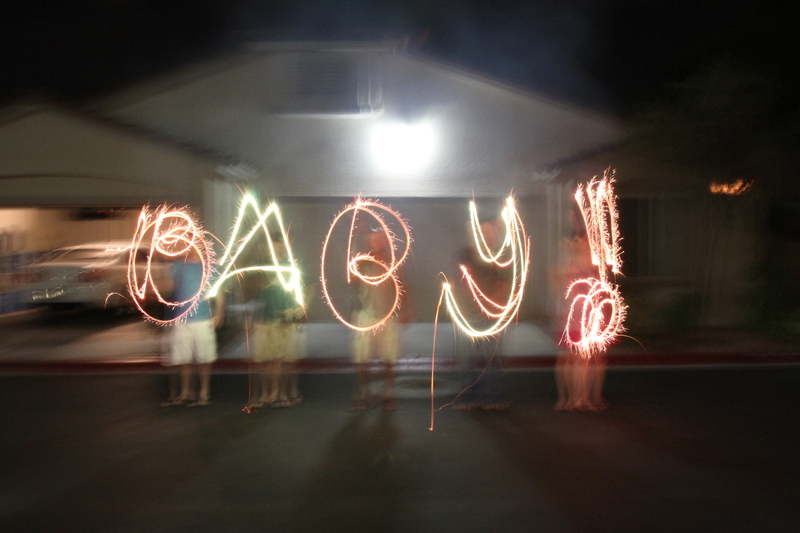 You’d be amazed how long this little experiment in light writing took us. But on July 4, post-fireworks and ever so slightly buzzed on cold beer and too much bbq, it really seemed like the only thing to do with a massive pile of sparklers that would lose much of their luster by July 5. Despite not having a tripod, we actually managed to do a reasonable rendition of this classic Vegas motto—at least, once we got Mike to stop making his Gs backwards. 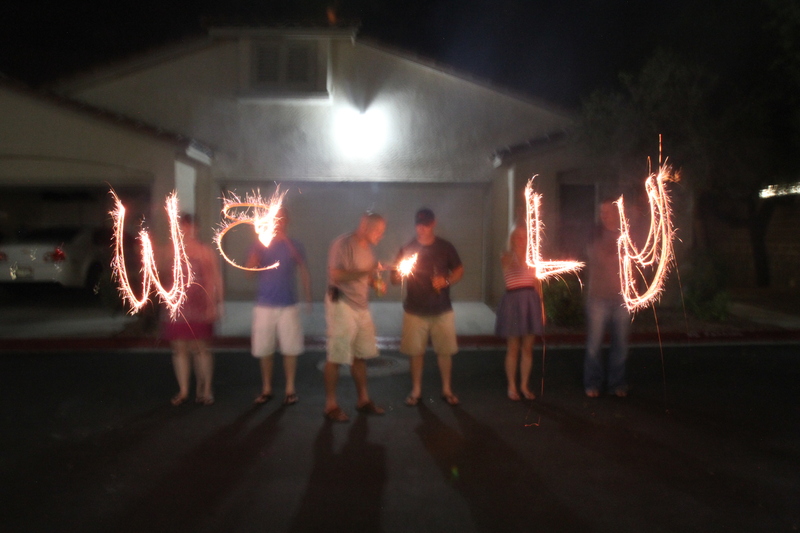 Want to try your hand at a light writing photo? Check out these easy directions from DIY Photography or browse Vimeo’s dedicated light writing channel for some serious inspiration. The one that uses an iPad to create 3D light painted animation is especially awesome. And, because my friends like to show Las Vegas Weekly some love, here’s our unsuccessful attempt at a cover image spelling out the Weekly flag. Note: It helps to get all the sparklers lit at the same time.